You’re thinking about going to your first session in counseling, but you can’t seem to get past the fear. Fear of not knowing what to expect from that first session, much less the sessions that come after that! This fear of the unknown can be a powerful factor. It can deter us from doing or trying new things that we know would be good for us! So, I’d like to dispel some of those fears and answer the questions that come with starting something new like counseling. As a brief disclaimer, I cannot claim to speak for every counselor, but am speaking purely from my own experiences as a counselor, as a client, and as a colleague of other counselors. So I have the session, now what? You’ve made the huge step of calling or emailing a counselor [need help on this one? click here]. You’ve set up your first appointment, or intake session and now you begin filling out paperwork. Sometimes this can feel really overwhelming, because it’s usually several pages. However, it is important for your counselor to have the appropriate information. This is also for you to be as informed as possible about your rights and responsibilities as a client. Make sure to take note of any questions you may have, and ask your counselor about them during the intake session. If a question comes to mind during the intake process, just ask! When you meet with your counselor for the first time, you will likely start by going over the paperwork you filled out. This may be a brief part of the session, or it may fill most of the time, depending on what your counselor has to go over with you and the questions that you bring to the table. Your counselor may emphasize certain points, such as confidentiality, and check to make sure you understand what you’re signing. Again, speak up if you have questions! That’s what this time is for. Going over the paperwork may also include asking about some of your responses to intake questions, such as past mental health treatment, any medication you may have taken or may currently be on, and your description of the concern or concerns that brought you to counseling. A very important part of the intake session is giving your counselor a good idea of what your concerns are. What brings you to counseling? What struggles, stresses, emotions, relationships, etc.? It is important for your counselor to know the history of how long this has been a problem and how it started (if you know), and how you’ve tried to fix it so far. Depending on what brings you to counseling, this may be easy or difficult for you. If it feels too difficult, let your counselor know that there are some things you feel uncomfortable talking about right away. While pushing through discomfort is an important part of the counseling process, it doesn’t have to start immediately. 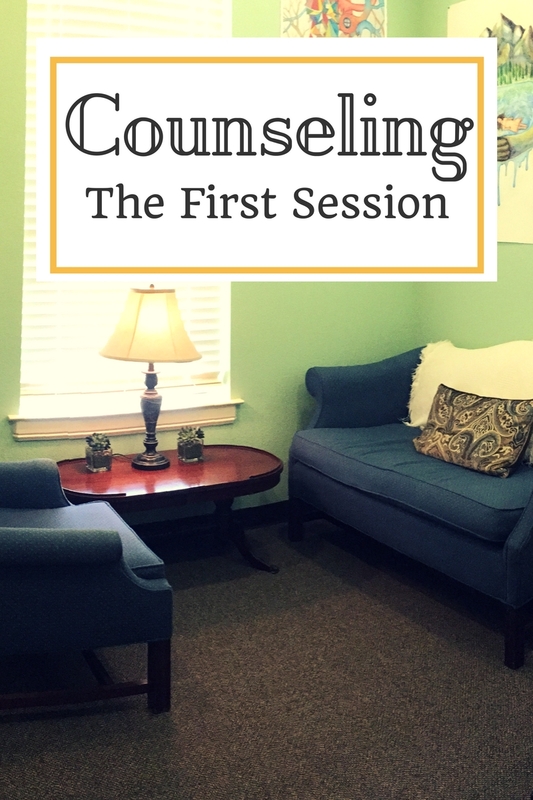 In that first session, you are getting to know each other and being introduced to the counseling process and relationship. The absolute last thing we want to do is push you so far that you’re afraid to come back! Some counselors include an assessment of some kind as part of their intake process. This, again, is just another way for your counselor to get a better understanding of where you’re coming from so they can help you the best way they can. They are not judging you based on your answers, but rather gathering information that may be helpful for you both in the future. Believe it or not, this pretty much covers the general content of an average counseling intake session. It may seem scary or vulnerable to walk into a stranger’s office, provide them with personal information, and spill your guts about things you may have been hiding for years, and that’s because it is. We’re not pretending counseling is easy; if it were easy, everyone would be doing it! It takes courage to step into this process, to trust a stranger with the things you’ve kept in the dark. But we are trained to help carry your burdens with you and to help you figure out how to lighten them (and hopefully shed some light on them as well!). We don’t judge, we don’t condemn, and we don’t hold anything you tell us against you, because that’s our job, and it is a pleasure to be able to help! If you are feeling ready to take the leap of trying counseling for the first time, I’d love to take that leap with you! You can call me at 940-222-8703 x705, email me at LauraL@acorncounseling.services, or click here to schedule an appointment online. I can’t wait to hear from you!